When most of us say we’re "going off the grid," it usually means we won’t have cell service for a few hours. For artists Catherine King and Wayne Adams, it’s meant living on a homemade island near Tofino, British Columbia for the last 24 years. The couple—he is a carver and she is a retired ballerina, writer, and painter—began building the fortress in 1992 and have since constructed a house, dance floor, lighthouse, four greenhouses, and more. It was all done with a hand saw and hammer; as Wayne told Great Big Story in the video below: "I know every board and nail by name." The island is tied to the shore and Wayne estimates that it weighs about 500 tons. The couple has dubbed the area "Freedom Cove," and their subsistence living involves catching fish, growing produce, and generating electricity with solar energy or, occasionally, a generator. They collect drinking water from a nearby waterfall or through rainwater, and they raised their two kids there. To get to Freedom Cove, one has to travel by water, but you’re welcome to make the trek: Wayne and Catherine offer tours for inquiring minds. Wayne told Great Big Story that he never gets seasick and, in fact, "When I go to town I get land sick." After seeing the amazing structure, we can understand why. 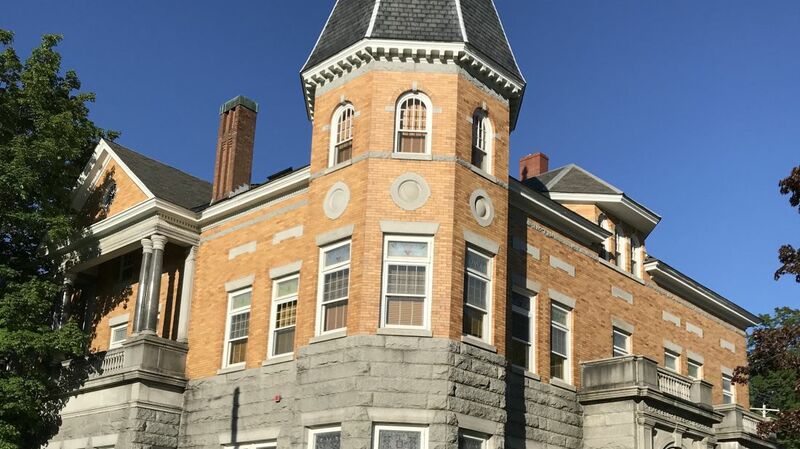 Though the Haskell Free Library and Opera House might not be as well known as the Grand Canyon or the Statue of Liberty, it's undoubtedly one of America's most unique tourist attractions. Completed in 1904, the building is stationed directly between Stanstead, Quebec, and Derby Line, Vermont, with the official U.S.-Canada borderline running right across the library's floor. Martha Stewart Haskell and her son, Colonel Horace Stewart Haskell, both Canadians, built the building as a tribute to Mrs. Haskell’s late husband, Carlos. The family hoped that citizens from both countries would use it as a “center for learning and cultural enrichment,” according to the official Haskell Free Library website. The Haskell is divided between the two countries. While the library’s official entrance is on the U.S. side of the building, most of the books are on the Canadian side. The opera house is similarly split, with most of its seats in the U.S. and its stage in Canada. As Atlas Obscura reported, it is often said that the Haskell is the only library in the U.S. with no books, and the only opera house in the country with no stage. 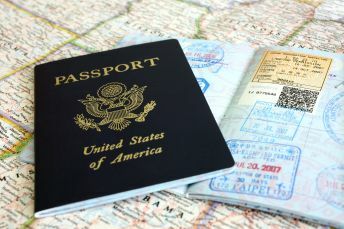 Passports and other forms of identification aren’t required to cross from country to country in the library, though the Haskell’s website notes that the border inside the "building is real and it is enforced.” Visitors are expected to return to their side of the border after a visit; if they don’t, they risk possible detention and fines. Even beyond the building's unique position, library director Nancy Rumery told CTV News that Haskell staffers—Canadian and American alike—consider the institution to be like any other library in the world. "We're just trying to be the best library we can, and our community is made up of people from two different countries," she said. "We don't think of it in that big symbolic way that I think a lot of people do. 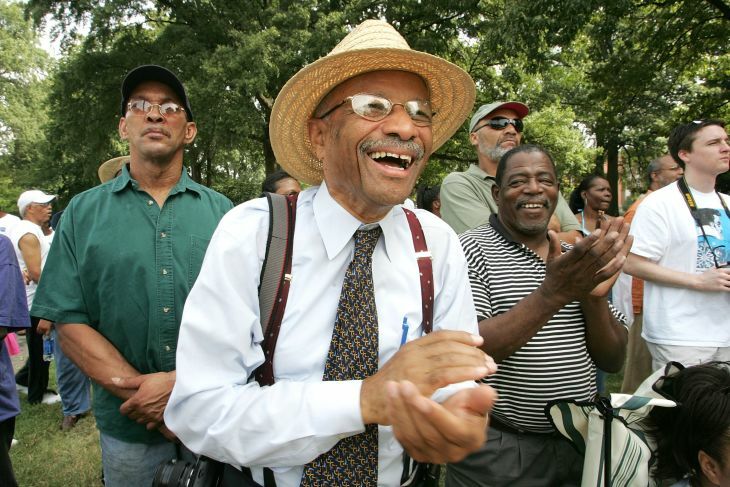 These are all our neighbors and we do our very best to help them on their life-long learning journey." 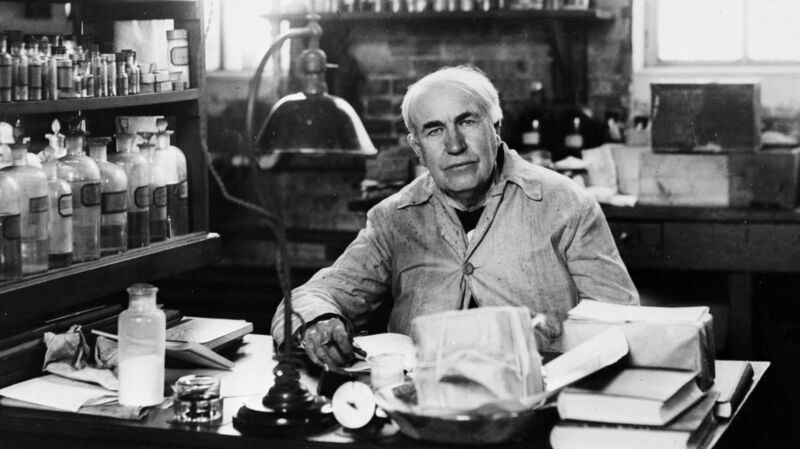 Are You Smart Enough to Pass Thomas Edison's Impossible Employment Test? If you thought Elon Musk's favorite question to ask job applicants was tough, you should see the employment test devised by Thomas Edison. When he wasn't busy inventing the light bulb or phonograph, or feuding with Nikola Tesla, Edison was apparently devising a trivia test of nearly impossible proportions. As Smithsonian reports, the 146-question quiz was designed to weed out the candidates who would be ill-suited to work at his plant, which was a desirable place to get a job in 1921. College degrees didn't impress him much—"Men who have gone to college I find to be amazingly ignorant," he once remarked—so he needed to find a more effective method of determining prospective employees' knowledge. The test may have been too effective, though. 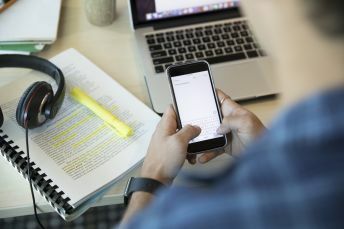 Of the 718 applicants who took the test, only 57 achieved a passing score of 70 percent, and only 32 scored Edison's desired result of 90 percent or higher. This was certainly frustrating to applicants who considered themselves to be pretty well-educated. An unsuccessful applicant named Charles Hansen, who shared all of the questions he remembered with The New York Times in 1921, called the test a "silly examination." Another applicant said it was "not a Tom Edison but a Tom Foolery test" [PDF]. After the test questions became public knowledge, reporters went out and started polling people to see how well they'd do on Edison's test. Albert Einstein reportedly failed (he didn't know the speed of sound offhand), as did Edison's youngest son, who was a student at MIT at the time. 1. What city in the United States is noted for making laundry machines? 2. In what country other than Australia are kangaroos found? 3. What region do we get prunes from? 4. Name a large inland body of water that has no outlet. 5. What state is the largest? The next? 6. What is the name of a famous violin maker? 7. What ingredients are in the best white paint? 8. What causes the tides? 9. To what is the change of seasons due? 10. Who discovered the South Pole? 11. How fast does light travel per foot per second? 12. Of what kind of wood are axe handles made? 13. What cereal is used all over the world? 14. Name three powerful poisons. 15. Why is a Fahrenheit thermometer called Fahrenheit? Feeling stumped? Scroll down to see the answers. 3. Prunes are grown in the Santa Clara Valley and elsewhere. 8. The gravitational pull of the moon exerted powerfully on the ocean because of its fluidity, and weakly on the Earth because of its comparative rigidity. 9. To the inclination of the Earth to the plane of the ecliptic. In the Earth's revolution around the Sun, this causes the Sun's rays to be received at varying inclinations, with consequent variations of temperature. 11. Approximately 186,700 miles a second in a vacuum and slightly less through atmosphere. 12. Ash is generally used in the East and hickory in the West. 13. No cereal is used in all parts of the world. Wheat is used most extensively, with rice and corn next. 14. Cyanide of potassium, strychnine, and arsenic are all acceptable answers. 15. It is named after Gabriel Daniel Fahrenheit, the German physicist who invented it. For the full list of questions and answers, check out Paleofuture's article about the test on Gizmodo.